Student Government Association’s Student Publications is looking for still photography interns every semester. Interns will be serving recognized student organizations, attending various after school events and journaling them through photography. Photos will be used for print and digital media. A proficiency in Adobe Photoshop as well as social media, including, but not limited to, Twitter, Facebook, and Instagram is required. Interns must provide and use their own camera. 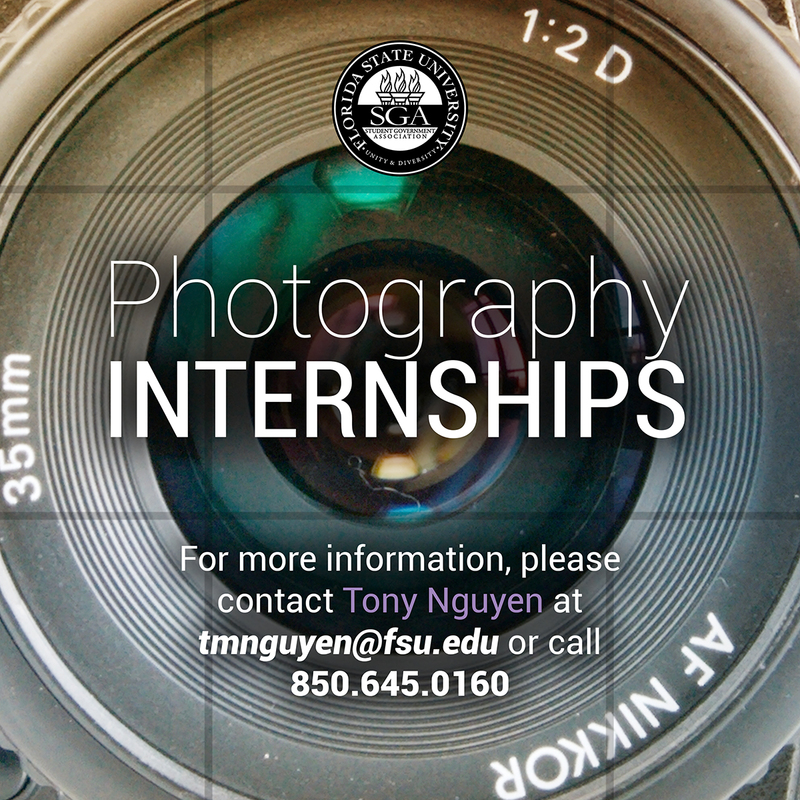 Office hours are 7:00am to 6:00pm, Monday through Friday, which interns are required to serve at least five (5) of their hours on-site to post-process and submit photos. Additional hours will be accumulated through attendance of events at irregular hours, some in the daytime and others at night, and must not conflict with scheduled class hours. Software, PCs, and Macs are provided during office hours.